Please stop by the Bryn Athyn Church Office to buy your Giant merchandise cards before your next Giant grocery shopping trip. For every $100 purchased, Giant donates $5 to Bryn Athyn Church School. This program does not affect the points you earn with your Giant Bonus Card. Since July 1, 2015, our organization has earned $7500. The goal is to exceed last year’s earnings of $12000 by June 30. You can pay by credit card, cash or check. There is no limit on the amount we can earn! This is a very easy way for people to donate to the church and school without them spending extra money. 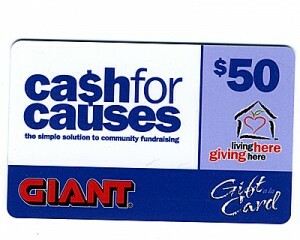 If you are interested in purchasing gift cards, download an Giant Cash-for-causes-order-form. For any questions, please contact the Pastor’s Office at 215-947-6225, ext 200 or email liza.hyatt@brynathynchurch.org or download an order form: Giant Cash for Causes order form. A+ School Rewards are points that supporters earn with each purchase made using their Giant Card. At the end of each month, the points earned are used in a calculation to determine your school’s cash total, which is then automatically credited to your school’s account. Customers must register their Bonuscard number with the Giant A+ Rewards Program. Members who have registered in the past do not need to re-register. Only new supporters have to register. For the 2015-2016 school year, BACS earned $4000 from this program, an increase of $400 from last year! Can you believe that one school earned $20,000 last year? Spread the word and tell your friends. September 10, 2015 is the beginning of the online registration for new parents/supporters for the school year 2015-2016. To register your Bonuscard, please contact the Pastor’s Office at 215-947-6225, ext 200 or email liza.hyatt@brynathynchurch.org. Target donates 1% of registered REDcard purchases to our school. So far, Target has donated $2232.19 to our school from the purchases of 9 REDcard holders. For Target REDcard holders, please consider registering your REDcard at https://www-secure.target.com/redcard/tcoe/home. Our school ID is 15553. Do you shop on Amazon? Amazon will donate .50% of your sale to your preferred charitable organization. It’s a small amount, but Amazon can increase this to 15% depending on the volume of sales from the supporters. All you need to do is go to https://smile.amazon.com/ and designate Bryn Athyn Church as your preferred charity. If you’re already an existing Amazon customer, just sign in with your username and password, and designate Bryn Athyn Church as your preferred charity. Bookmark the link and support us each time you shop. When buying or renewing magazine subscriptions (paper or digital), please consider using http://www.gafundraising.com. On the website, go to Shop Now and use code# 2781409. Forty percent of the subscription price goes to the Bryn Athyn Church School. Save “Labels For Education” on the following products: Campbell’s Soup, Post Cereals, Prego Spaghetti Sauce, Swanson Chicken Broth, V8, Pop Secret and Glad products and many, many more. Please be sure to include the UPC code with the label or it is not considered valid. 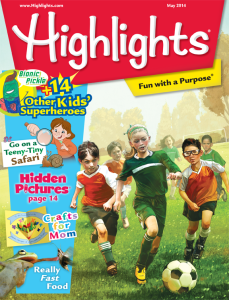 Save your “Box Tops for Education” labels. Each label has a value of $0.10. Many of these labels can easily be found on products made by the following companies: Hefty, Land O Lakes, Yoplait, Scott, Kleenex, Ziploc, Betty Crocker, Pillsbury, Reynolds, and General Mills. Each label has a value of $.10. Bryn Athyn Church School earned $800 last year! Other small schools have earned over $1000. With your support, the school hopes to earn even more in the future. Or send them by US mail or inter-office mail to the Pastor’s Office, POB 277, Bryn Athyn, PA 19009.